Microsoft is holding a rather interesting Xbox FanFest event at E3 2015 next month, and Xbox Live Director of Programming Larry “Major Nelson” Hryb, who will be hosting the Fanfest, during his latest podcast, teased a few surprises for the event. Things get weird this time of the year, because everyone gets quiet, because they’re getting ready for E3. They’re getting ready to spring at E3, so everyone has kind of gone quiet right now. So in fact us, we might be quiet I think next week, I don’t know… I think we’ve got something… We’ll talk about that later. We have this awesome fanfest, that I’ll be hosting, that’s really really exciting… I can’t even begin to tell you how excited I am about this, there’s some cool stuff that I cannot announce yet, that’s all I’m gonna say. But if you’re in the LA area, you wanna be one of the first 500 people, because we’re gonna hook you up, that’s all I’m gonna say. We’re gonna hook you up. It’s certainly exciting to see what Microsoft brings at this year’s E3, as everything indicates that they will be bringing some major announcements and surprises. In fact Phil Spencer feels quite confident that they will be bringing the best lineup in years. 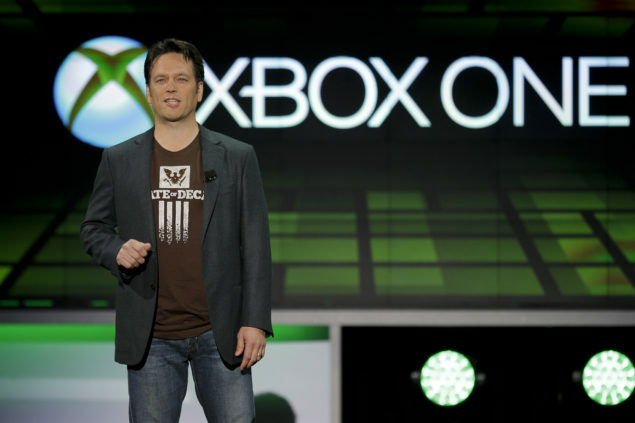 Microsoft promises that E3 will give players the chance “see the greatest games lineup in Xbox history“. Microsoft is expected to show off Halo 5: Guardians and Forza Motorsport 6, offer a closer look at Rise of the Tomb Raider and reveal unannounced titles “coming in 2015 and beyond”. At least one Gears of War title is expected to be revealed, including a remaster of the original game, as well as an unannounced title from Rare. Microsoft’s E3 press conference gets underway at 5:30pm on June 15, with the show beginning one day later on June 16. We will bring you any new information from Microsoft and E3 2015 as soon as it becomes available.